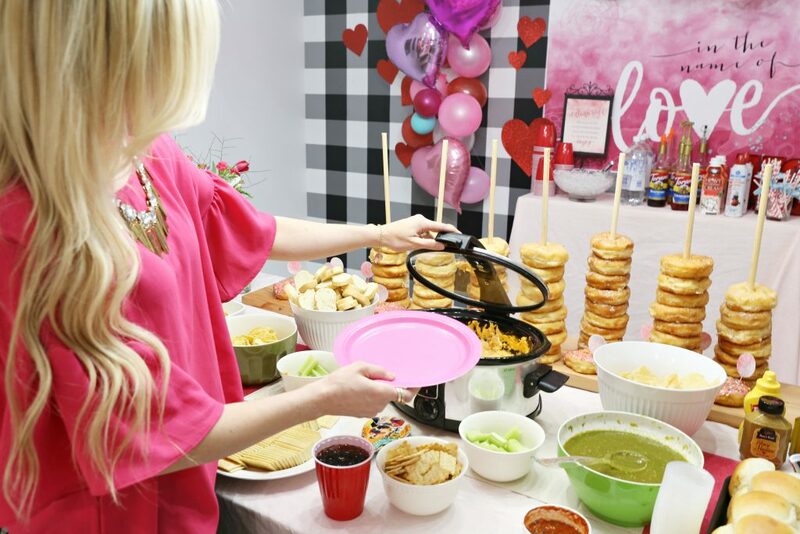 I have had a Valentines Day Party at my house for the past 5 years. This year the party was at the new house and I was excited for our family and friends to come over and see all the crazy projects we have been doing. 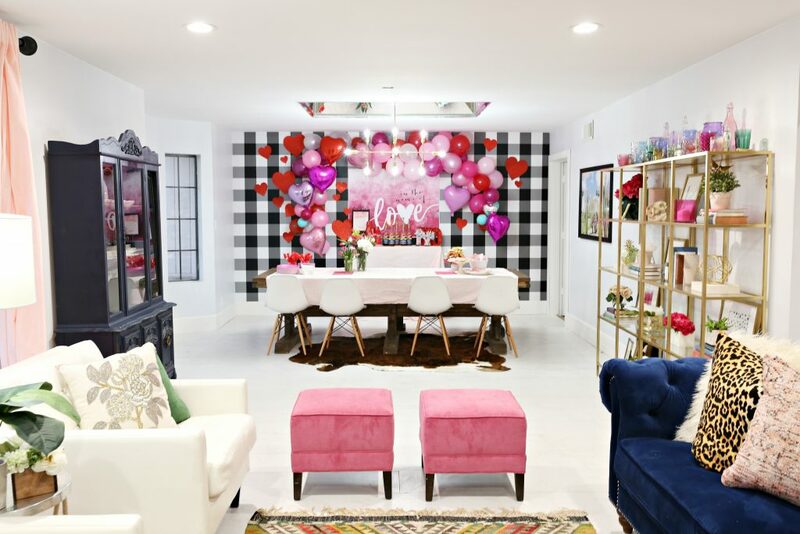 I went back and forth between a few different ideas for the Valentines Day party decor. 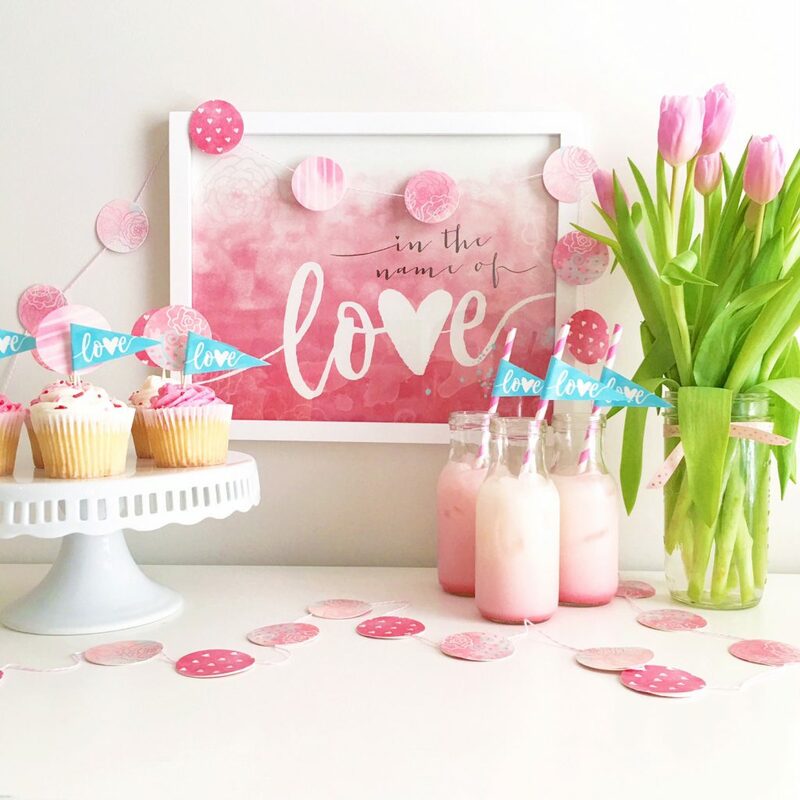 I have been loving how easy our Balloon Garland is so that was a must have and also all the shades of pink and red of coarse. 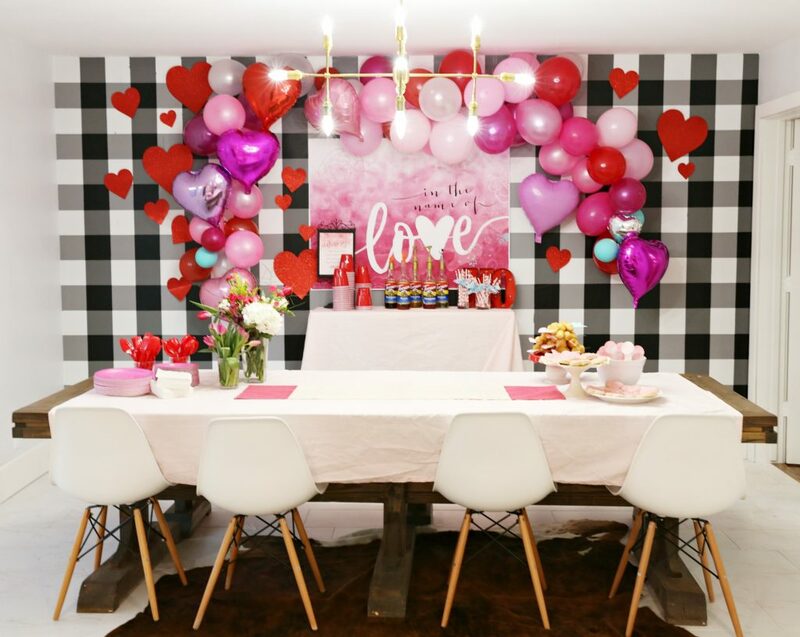 The balloon garland was the main backdrop of the party. I had recently painted my buffalo check wall which you can get all the details HERE. 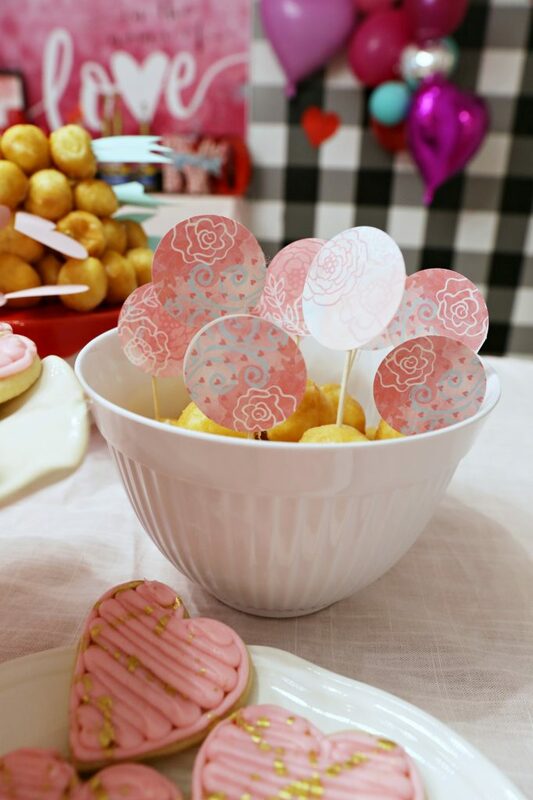 and these cute circles that I add to different food items. 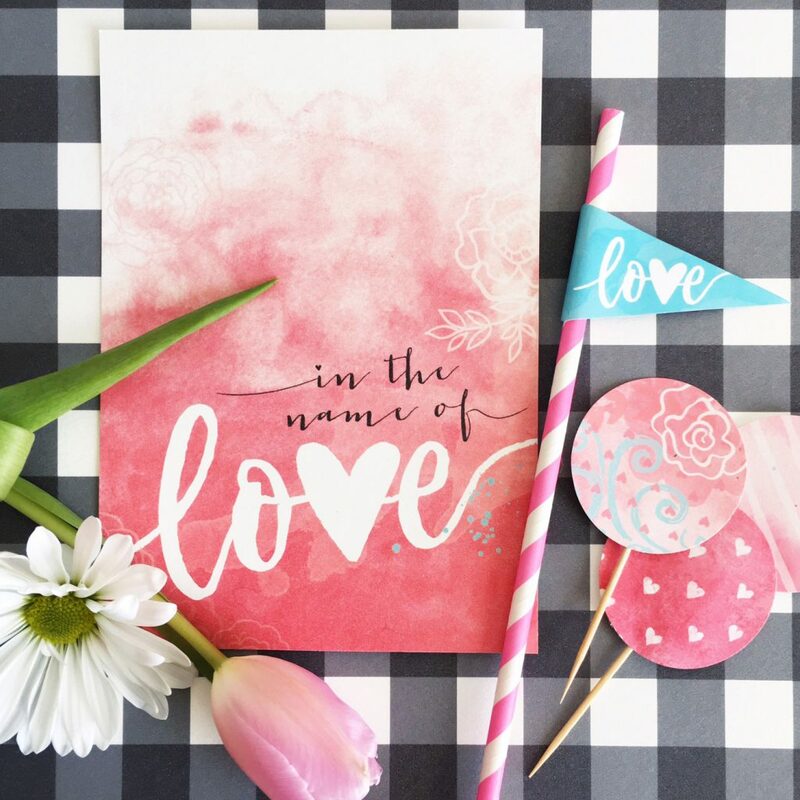 She also designed my invites for the party and luck for you she has included this entire package for you to use completely for free!! Check it out HERE!! 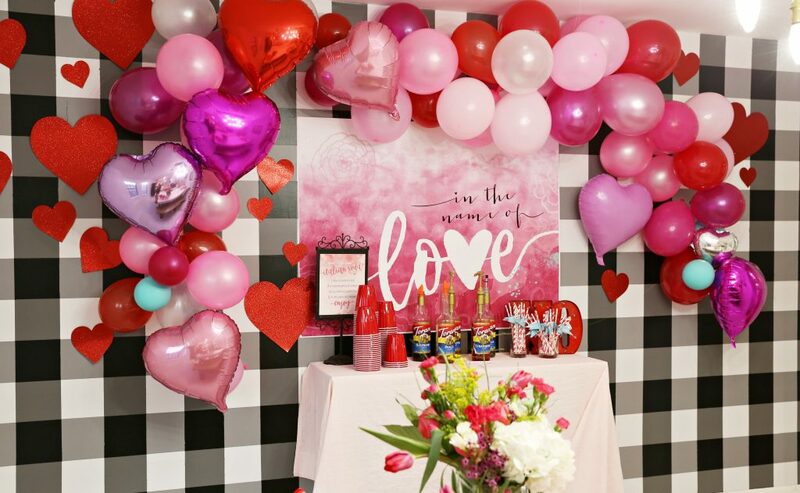 It’s going to make your party or your Valentines Decor just over the top. 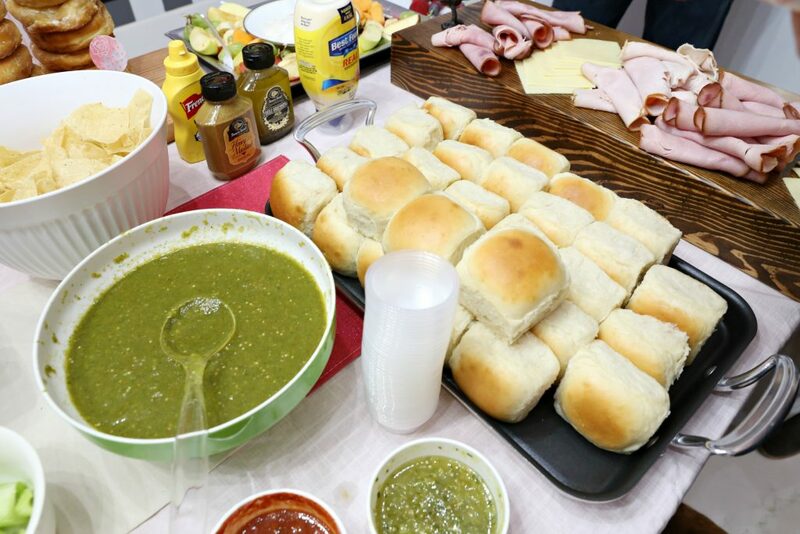 The food is always important at any party. I asked my guest to bring either a dessert or an appietizer to share. 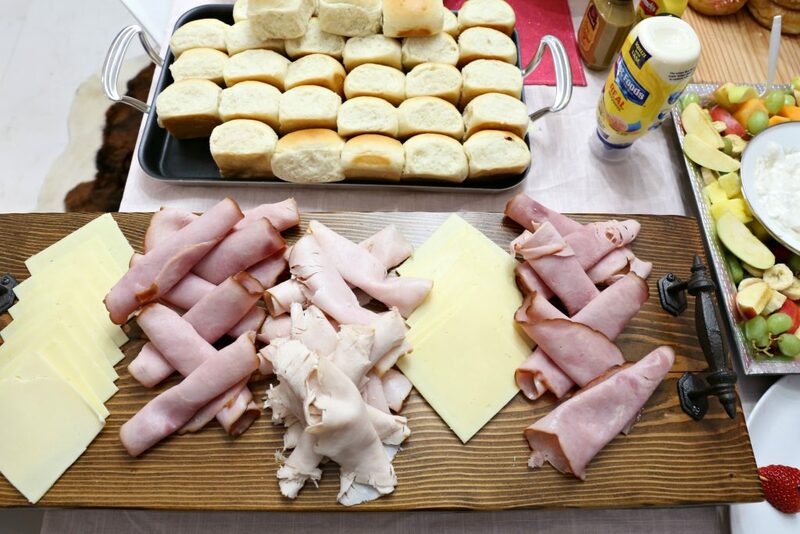 I had all kinds of sandwich meat and cheese along with homemade rolls for sandwiches. We had all kinds of dips and other yummy finger foods. 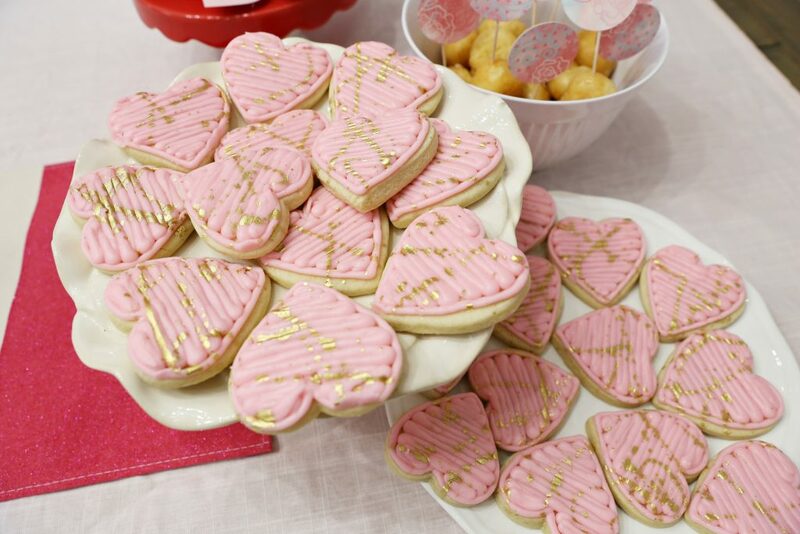 Sugar lane bakery did some sugar cookies with some fun gold on them. 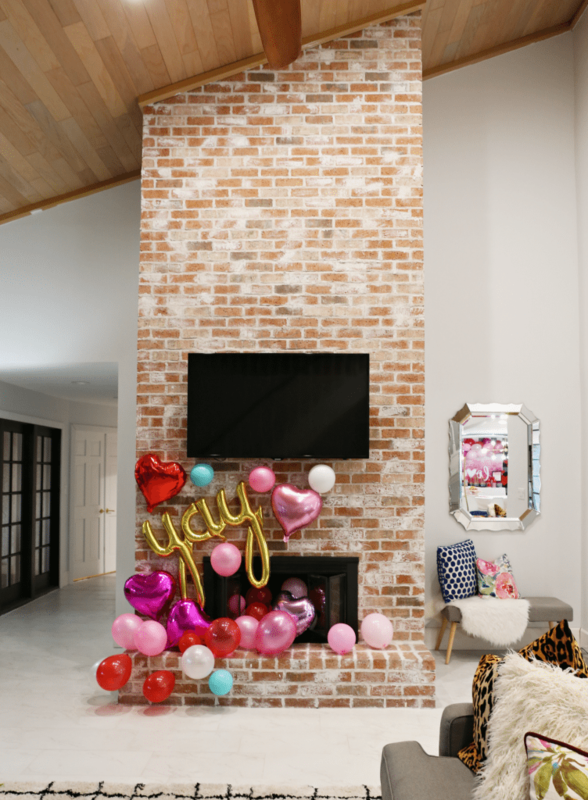 Another part of the Valentines Decor was my fireplace. 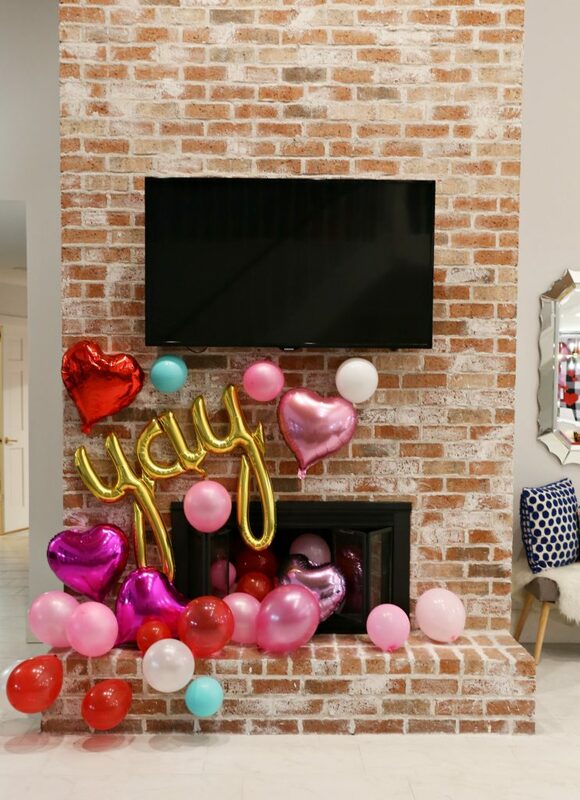 I carried the balloons over to the fireplace area. I did have to hot glue the balloons on the fireplace but no need to fear but it just peeled right off. I found the ” YAY” balloon at Target in the dollar section. I had the words “love” and “party” but I popped them both. 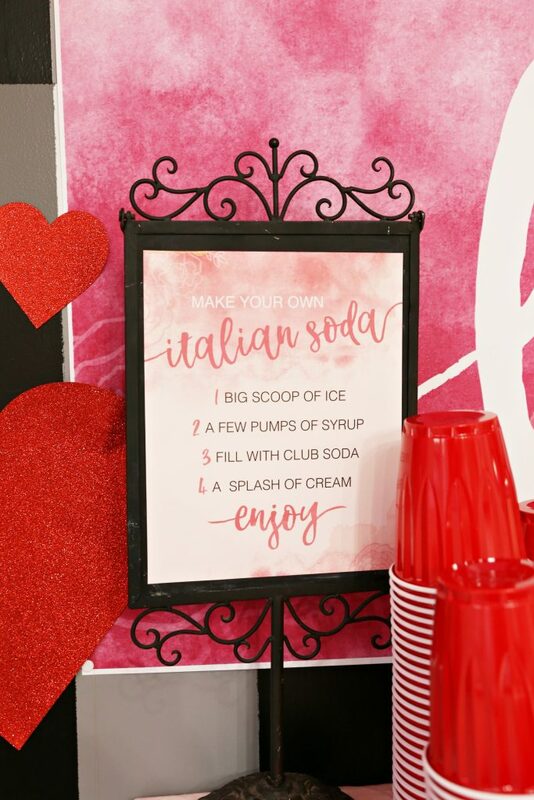 I really love how everything at the Valentines Days Party Decor turned out and be sure to check out the free printables from the amazing The Slow Crow. Amazing wall you painted, wow! 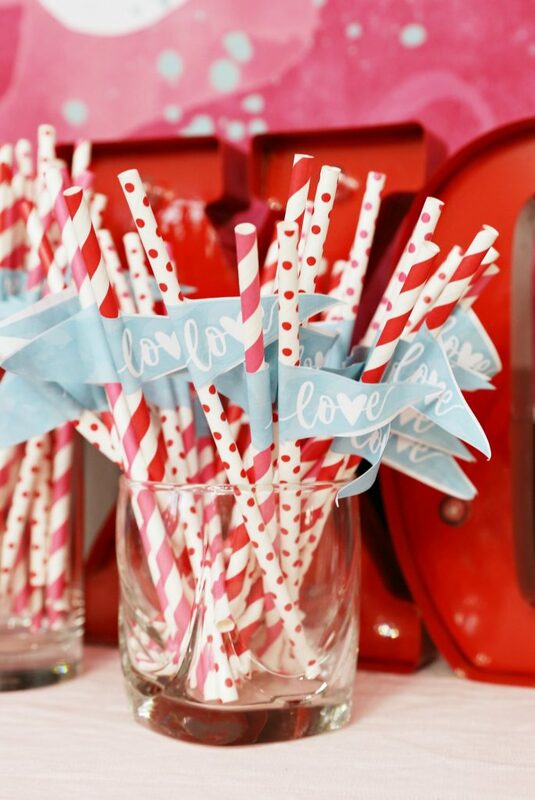 Love your Valentine table, delightful – I love the red this time of year. Wow! 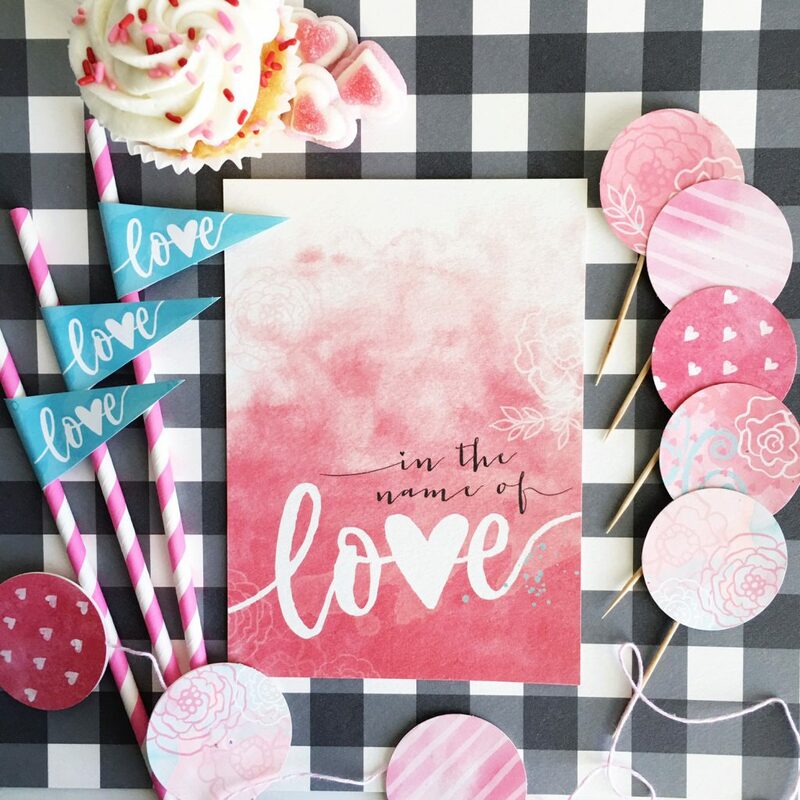 The ombré backdrop gives it such a lovely appeal! So colorful! 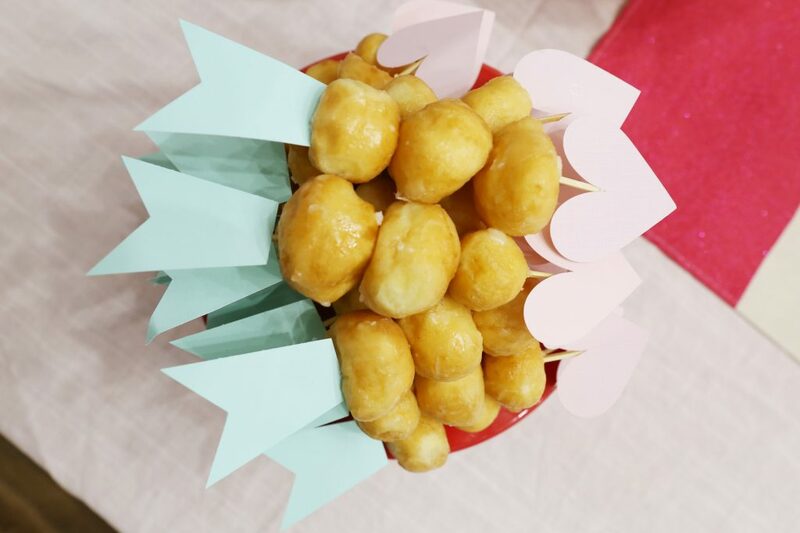 Perfect for a bachelorette party. 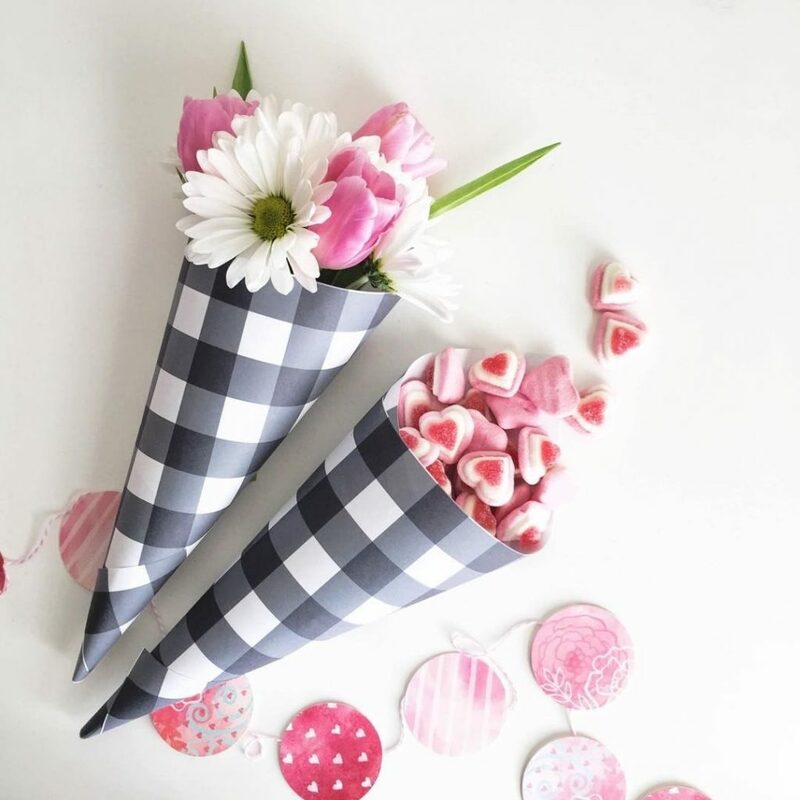 It’s also an extra fun Valentine’s Day around here. 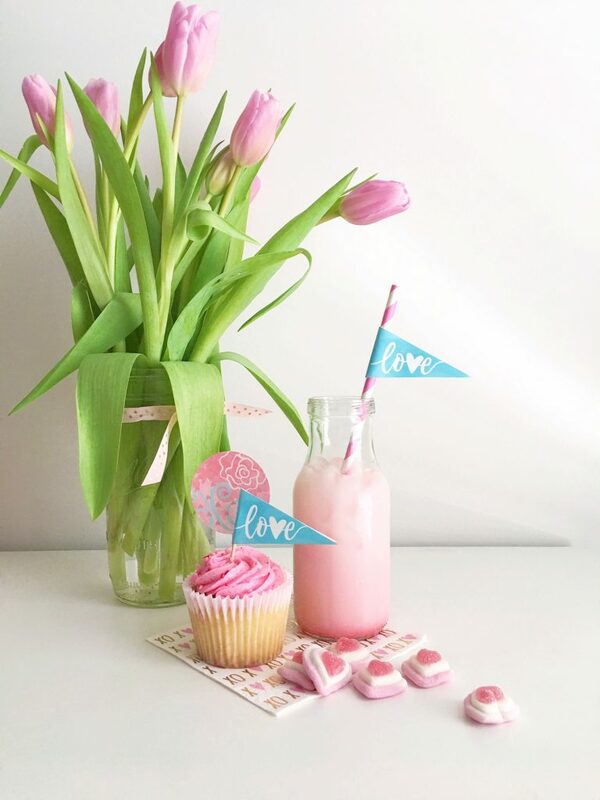 Hubs first asked me to be his Valentine 10 years ago and we’ve been celebrating together ever since. oh..such a cute post! really very useful and point information liked it.